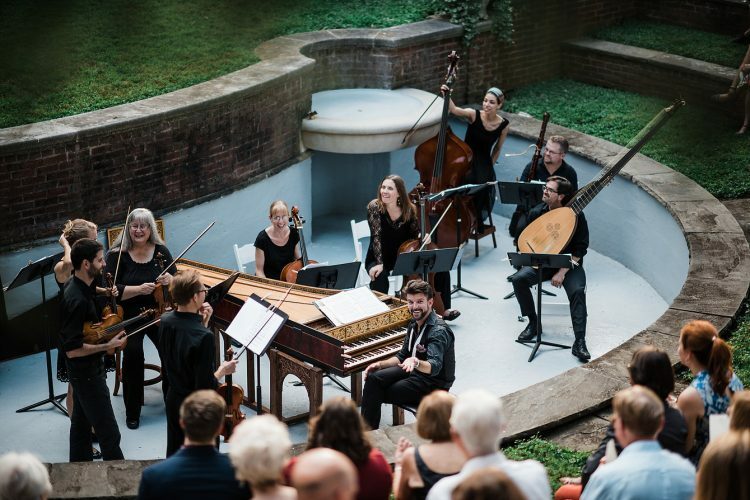 Aperi Animam will perform at 7:00pm EDT on Friday, May 24, 2019 at First Presbyterian Church, Bloomington, as part of the Early Music America’s Emerging Artists Showcase during the Bloomington Early Music Festival. Aperi Animam is an emerging vocal ensemble, engaged in the exploration of music from the medieval, Renaissance, and early Baroque eras. Aperi Animam presents historically-informed performances under a 21st-century light. Since their conception in January 2017, artistic director Daniel Koplitz has encouraged a collaborative approach to consort-singing and does not conduct in performance. Instead, the ensemble performs and rehearses as chamber musicians with each member contributing artistically to the piece or narrative at hand. 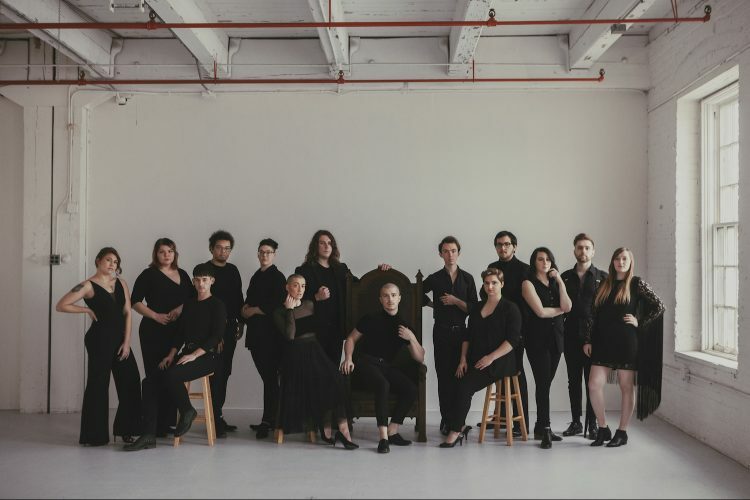 While there is careful attention to historical performance practice, Aperi Animam approaches early music performance with experimentation and intimacy, and they aim to stretch the boundaries of traditional choral concerts. The duodectet has collaborated with Milwaukee Opera Theatre, Plymouth Chorale, Nordic Brass, and Hesternus. 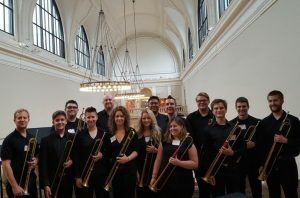 They have been featured on the Milwaukee Fringe Festival and have performed through the University of Milwaukee, the Milwaukee Art Museum, the Grace Lutheran concert series, Holy Hill Basilica, and Early Music Now. 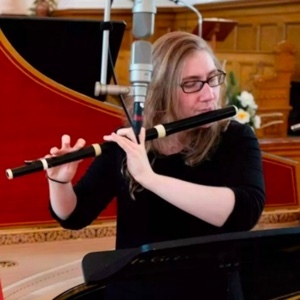 In addition, APERI ANIMAM has opened for the world-renowned Flanders Recorder Quartet and worked in a masterclass setting with both the British vocal ensemble The Queen’s Six and members of Piffaro. Currently, they hold residency at the Cathedral of Saint John the Evangelist in Milwaukee. When practicing Catholicism was punishable by imprisonment or death in Elizabethan England, Catholic composers sought refuge in and drew inspiration from scriptural texts on the Babylonian captivity, comparing themselves to the exiled Israelites. This program of motets recounts their stories—that of the Israelites, the English Catholics, and all of those who have suffered from persecution and intolerance. It evokes the transition from suffering to deliverance, both physically and spiritually, and compels us to reflect upon our faults and wrongdoings and turn toward betterment and righteousness. This program is dedicated to the Jewish and Muslim peoples across the world who have been massacred in mass shootings, particularly in Pittsburgh, Pennsylvania this past October and Christchurch, New Zealand in March. May they rest in peace. François Devienne (1759-1803) was a well-known Parisian musician in the late 18th century. He was one of the earliest teachers at the Paris Conservatoire, a pedagogue who wrote a popular practical methods book for the flute in 1793, and apparently an exceedingly fine performer to boot, playing both bassoon and flute for theater orchestras and solo occasions. He also composed hundreds of pieces over his lengthy career, all of which reflected the most popular genres of the day: operas, symphonic works, and a variety of chamber compositions. 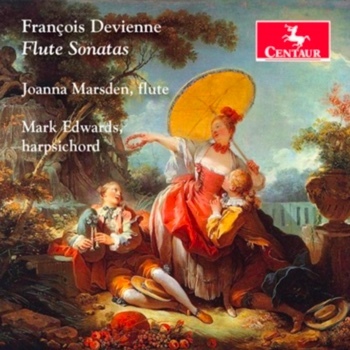 On this album, flutist Joanna Marsden joins forces with harpsichordist Mark Edwards to perform five of Devienne’s flute sonatas, two of which are accompanied by an introductory prelude. These preludes in and of themselves tell us a bit about Devienne’s compositional, and likely also performative, approach. 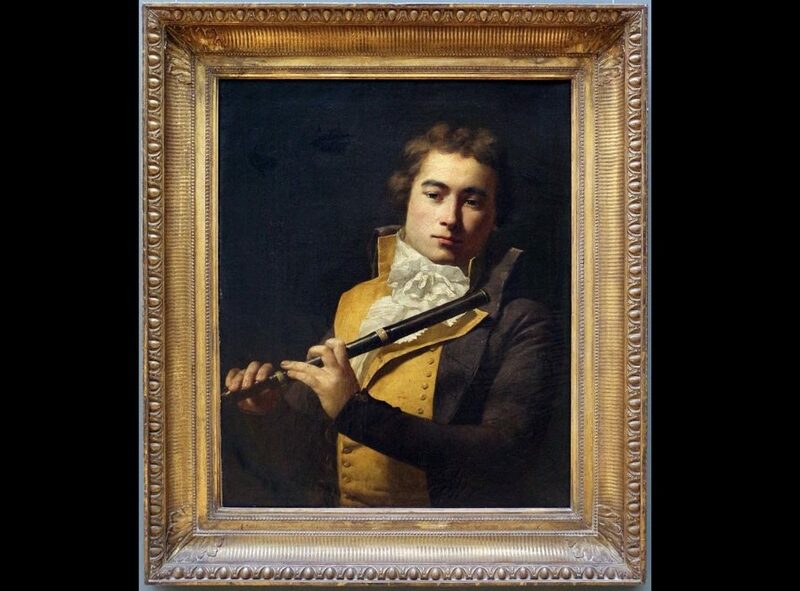 He and his colleagues at the Paris Conservatoire did not particularly see eye to eye on flute technique; while the others were more interested in newer technical innovations, larger ensemble playing skills, and the primacy of a single melody as established by Jean-Jacques Rousseau, Devienne continued to write and teach in an older style that emphasized ornamentation, improvisation, and fuller basse accompaniment. The preludes included here thus reflect this tendency toward continuing to improvise or provide improvisatory introductions to his sonatas. Devienne was also an advocate for the one-keyed flute, an instrument that was threatened by the four-keyed flute preferred by his colleagues. Marsden performs these works on a late 18th-century one-keyed flute made by Tortochot. Lest anyone think of this instrument as a transitional or less capable flute, Marsden performs dazzling virtuosic passages (listen, for example, to the beginning of the Sonata in D minor or the end of the third movement of the Sonata in D major) and explores the entirety of the instrument’s range throughout the recording. Its lowest register is surprisingly warm, as evidenced in the Sonata in D major, while passages across the upper ranges are bright and surprising in their projection. In all cases, the beautiful timbre of Marsden’s flute is well matched by that of Edwards’ harpsichord; he manages to realize the basse in a way that prioritizes the flute’s melody while at the same time playing an equally interesting role full of rhythmic and rhetorical vitality. Devienne’s sonatas tend to include graceful melodic lines, a supportively rich accompaniment, and frequent sections of virtuosic technical display peppered throughout. The ones chosen on this recording are some of the more challenging, and both Marsden and Edwards handle the material with grace and verve. As Marsden’s debut recording, it is one that shows a great deal of promise. A worthy addition to any flute-lover’s library. Works by Forqueray, de la Guerre, and Marais, in transcription for baroque cello & harpsichord.